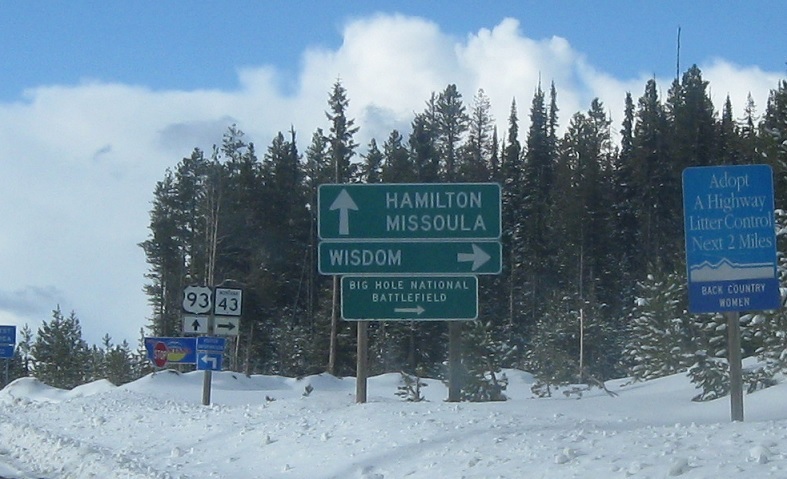 This starts in the northwest corner of the state and moves clockwise around it. 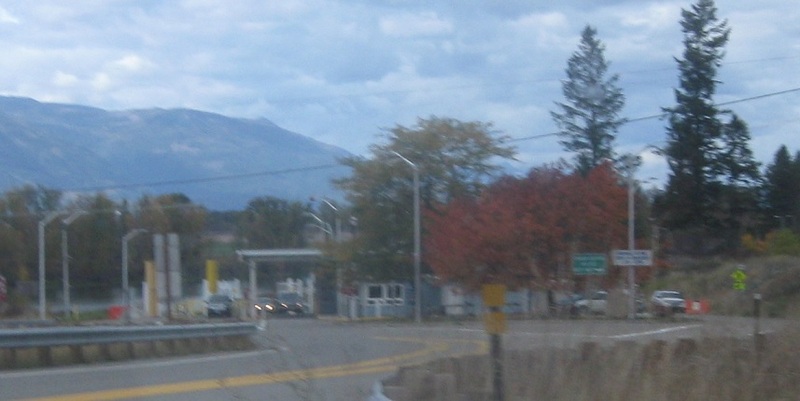 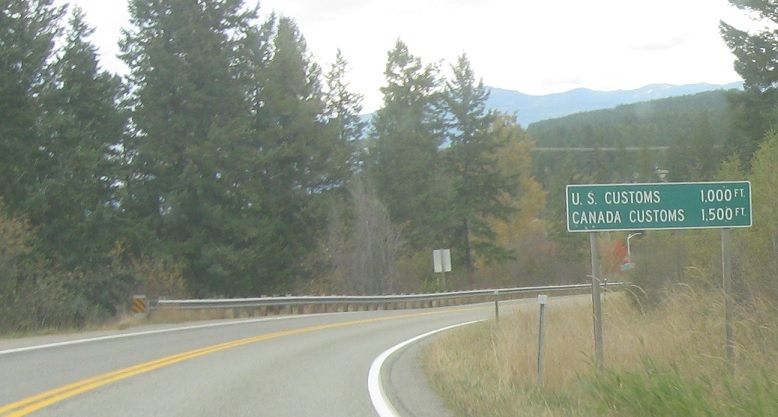 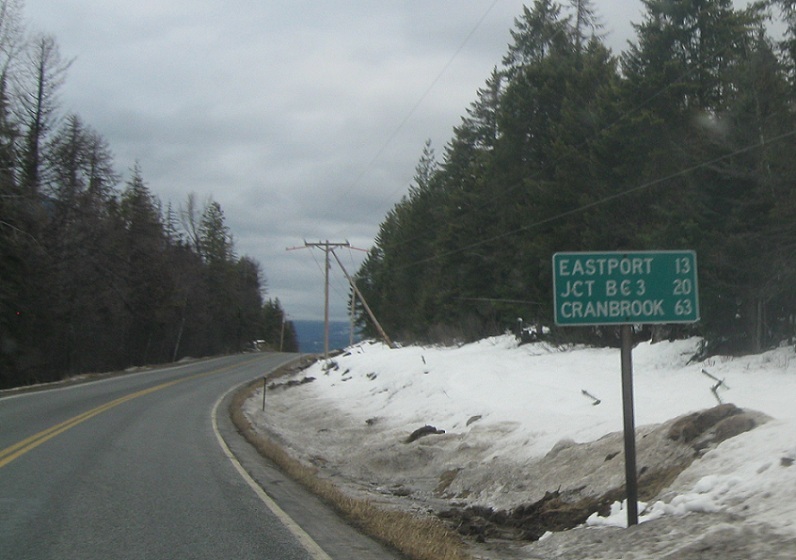 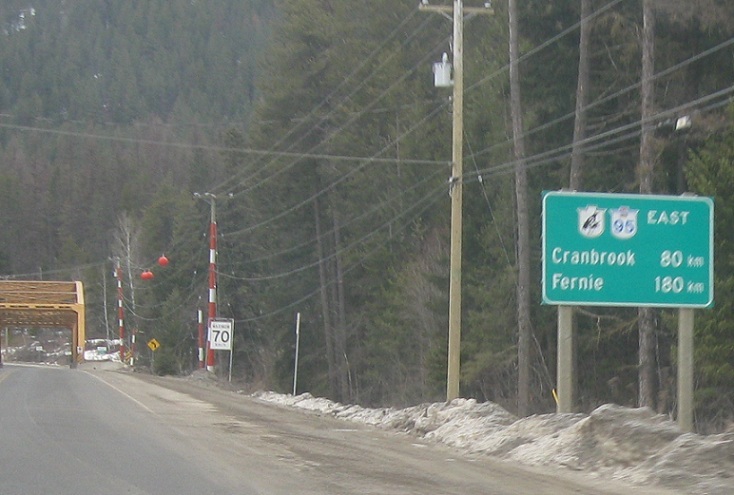 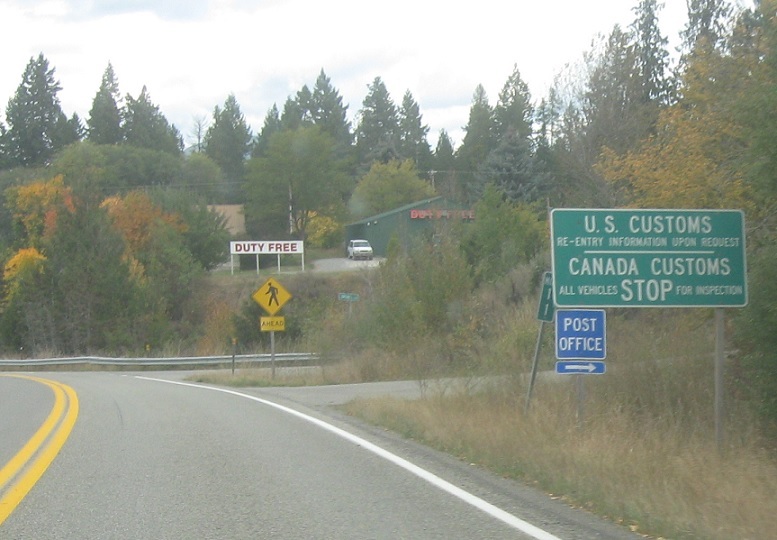 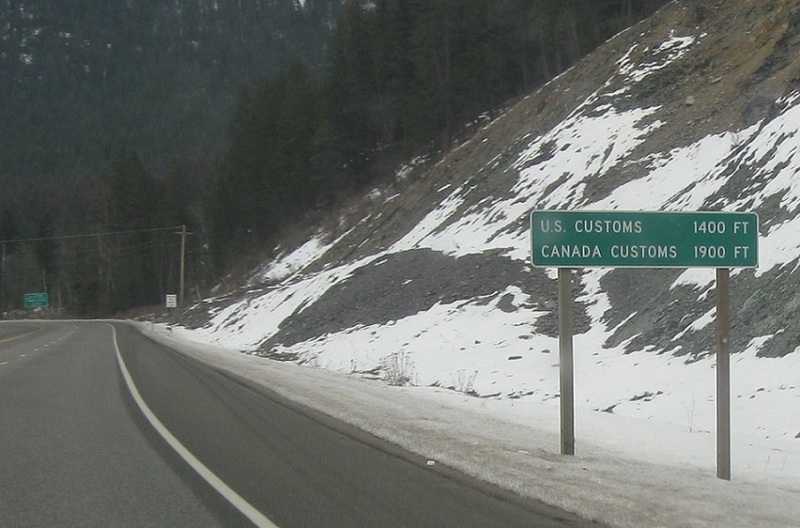 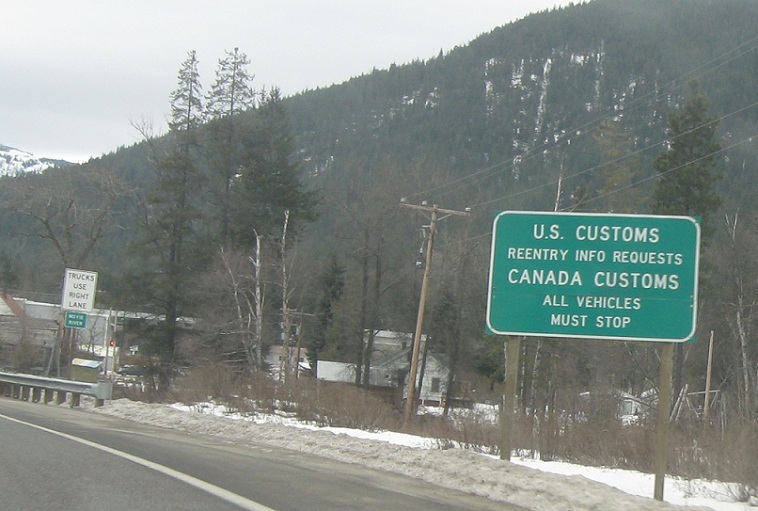 (Porthill, ID) Last reassurance shield in Idaho, 1000 feet to the border, stop at customs, the border! 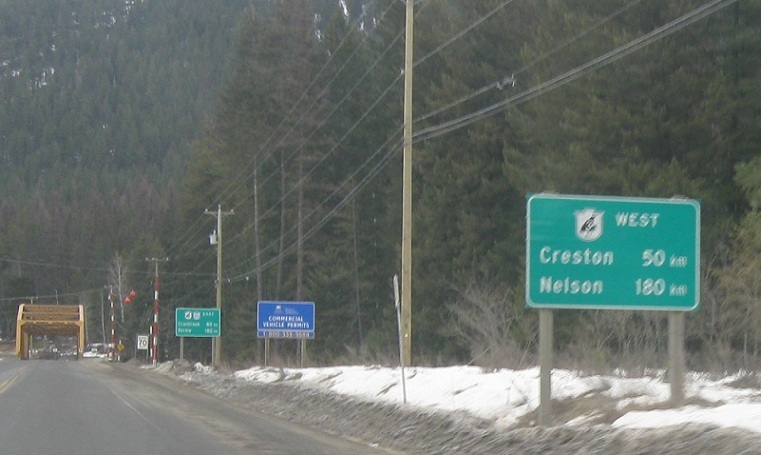 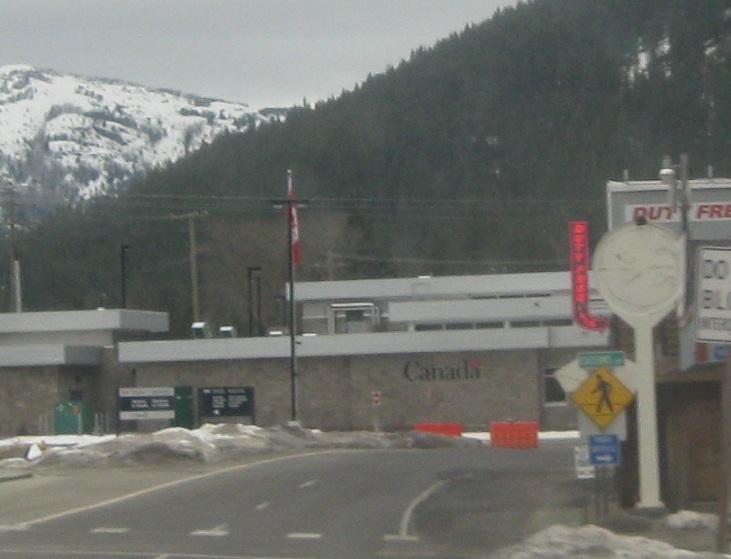 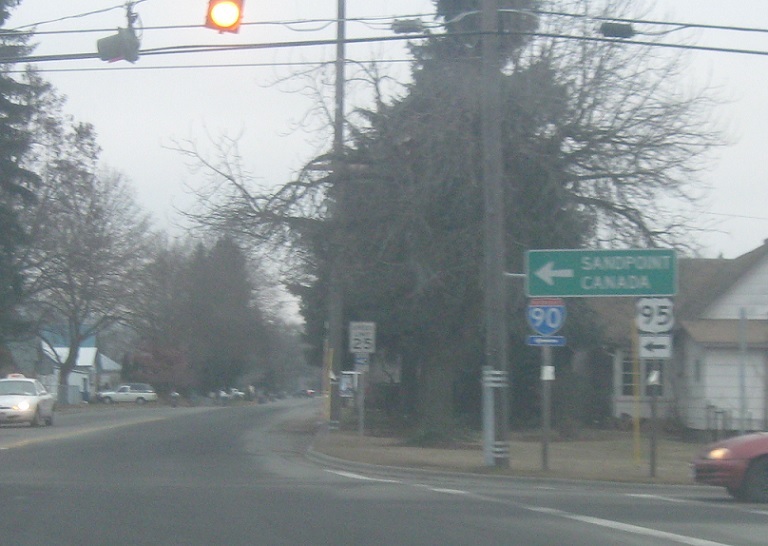 (Eastport, ID) Canada makes its first appearance as a control “city” as 95 approaches downtown Coeur d’Alene, control cities finally become cities instead of the country 12 miles south of SH-1, Last US-95 shield, distance trailblazer to BC 3 about 13 miles south of the border, distance sign to the border, reminder to stop at customs, the POE, mileage sign entering Canada via BC 3 (which is just north of the border), mileage sign via BC 3 east and BC 95. 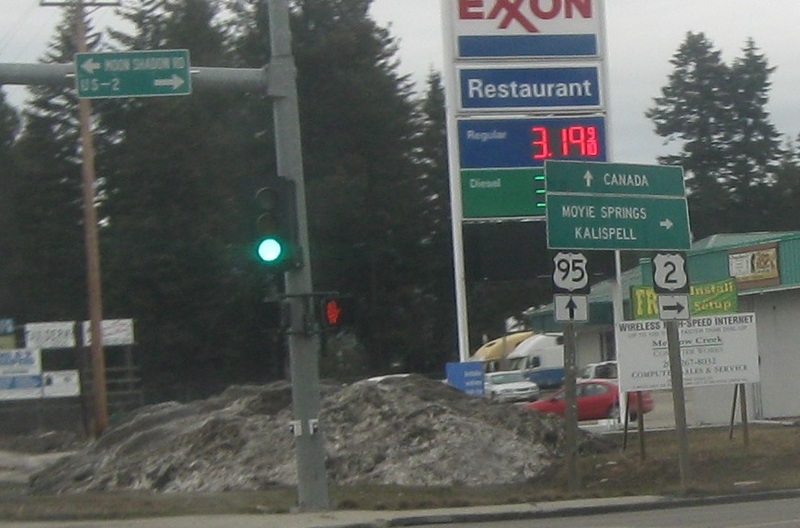 (Moyie Springs, ID) Kalispell debuts as a control city as 2 splits from 95, last US 2 shield in Idaho, mileage sign at the state line, junction S-508 comes up pretty quick. 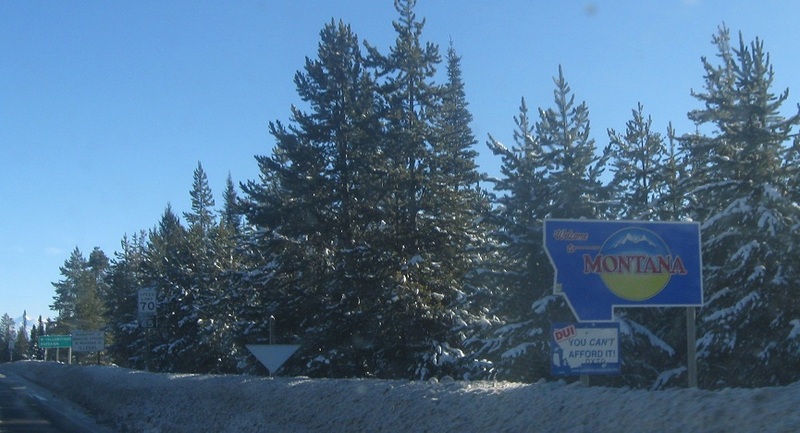 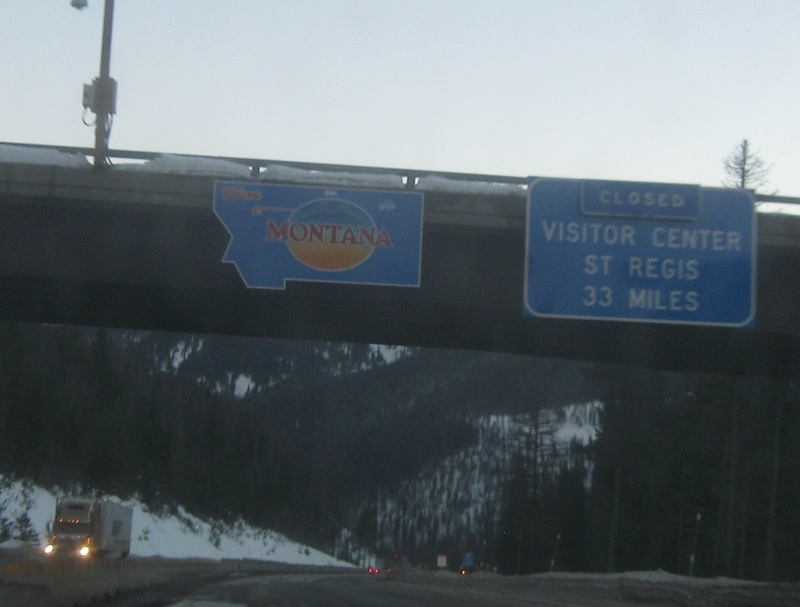 There’s no welcome to Montana sign. 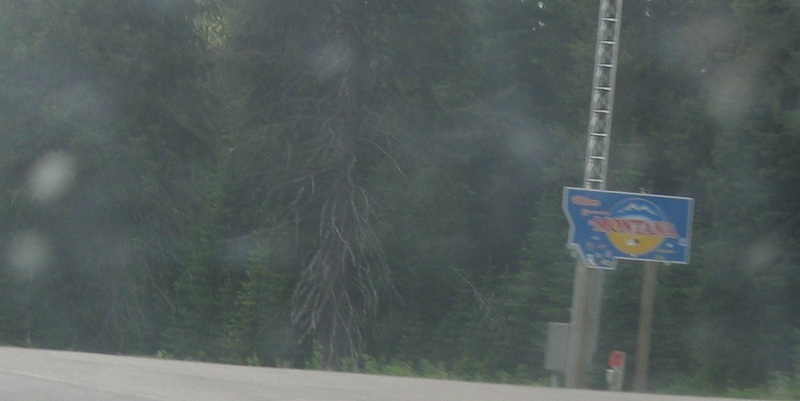 (Clark Fork, ID) Last Montana 200 shield, first Idaho 200 shield as we enter Idaho, welcome to Idaho! 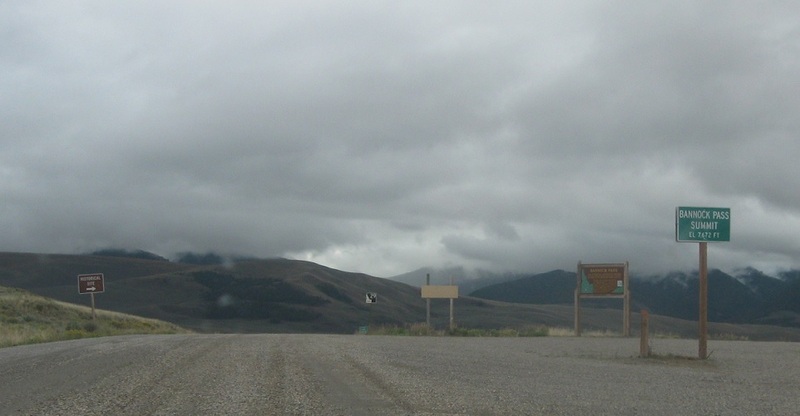 (Mullan, ID) Last reassurance shield in Idaho, ITD sign for Montana exit 0 as we ascend Lookout Pass, MDT sign for the Lookout Pass just feet over the state line, Welcome to Montana! 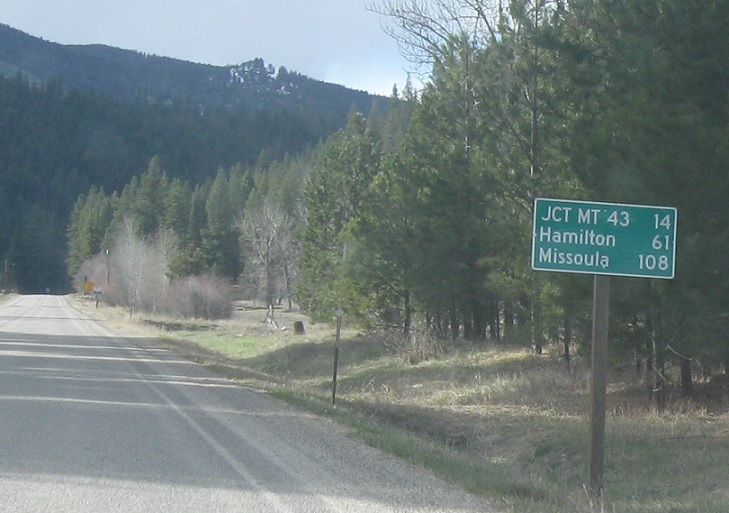 (Lolo Pass, ID) First appearance of Missoula as a control city on US 12 just east of Lewiston, final 12 shield in Idaho, welcome to Montana!, 12 doesn’t get a sign in Montana for 35 miles until we approach Lolo, MT. 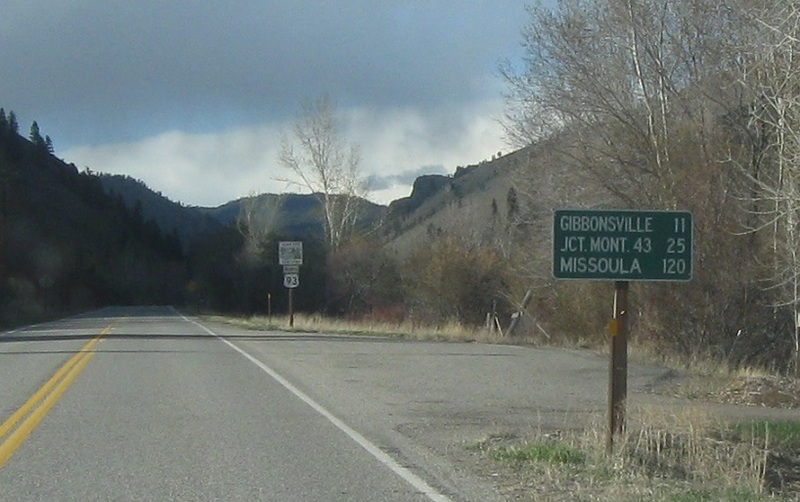 (Gibbonsville, ID) Missoula MT and Hamilton MT appear as control cities in Salmon, north of Salmon Montana 43 (which is right on the state line) appears as a control “city,” another trailblazer to MT 43, junction Montana 43 sign still in Idaho that appears to be an ITD install, Idaho-spec turn signage for MT-43 and Wisdom with what appears to be an MDT sign bolted to the bottom for the Big Hole Nat’l Battlefield, turn for MT-43 right at the state line. 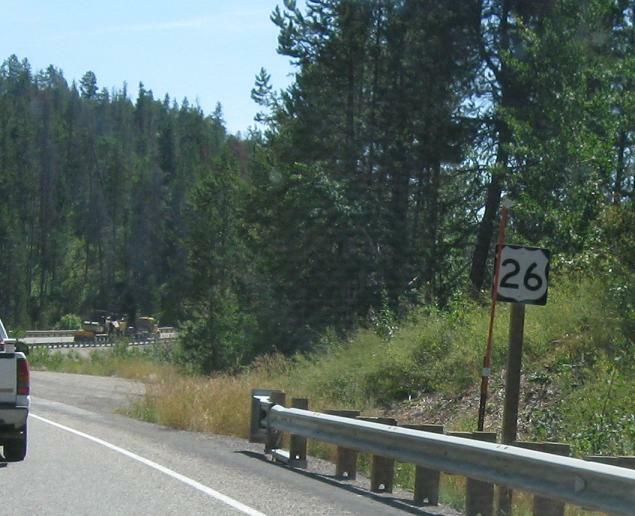 (Leadore, ID) Last Montana S-324 shield, pavement ends on Secondary 324 as we ascend Bannock Summit, we’ll enter Idaho at the top of the pass, first SH-29 reassurance shield. 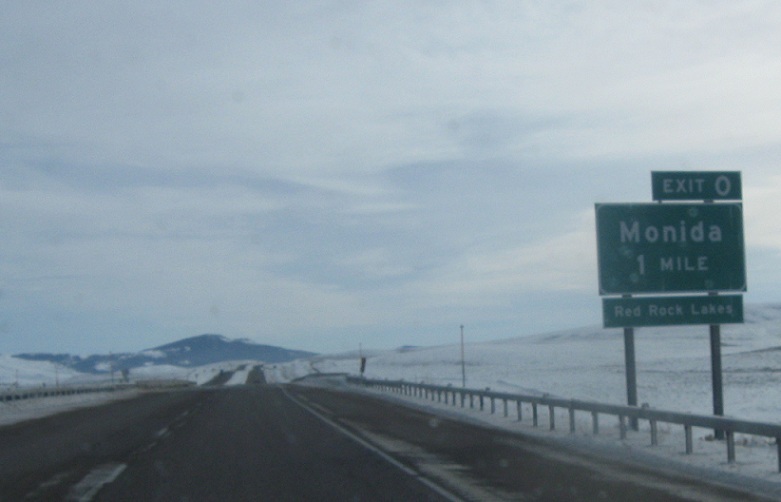 (Monida, MT) Last reassurance shield in Montana, exit for Montana S-509 at the top of Monida Pass just before the state line, Welcome to Idaho!, first reassurance shield in Idaho. 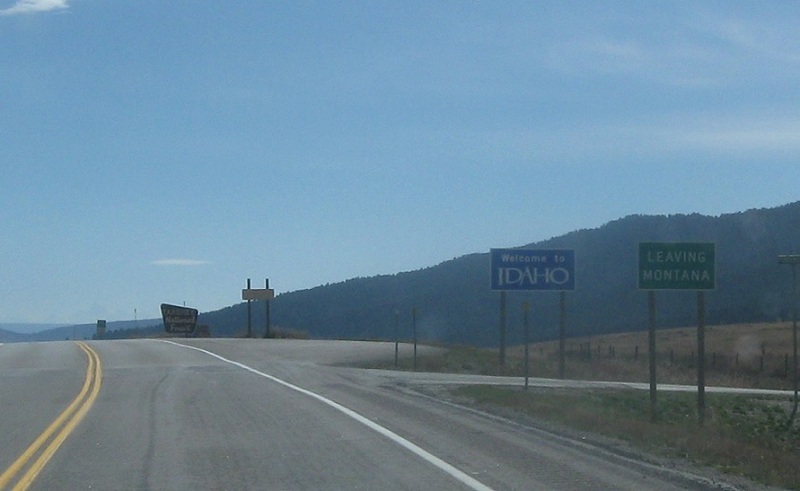 (West Yellowstone, MT) West Yellowstone makes its first appearance in Idaho Falls, hazardous cargo should avoid Montana’s US 191 and should use ID/MT-87 instead, Bozeman makes its only appearance in Idaho, last US 20 shield in Idaho, Welcome to Montana!, no signage for 20 until we enter West Yellowstone. 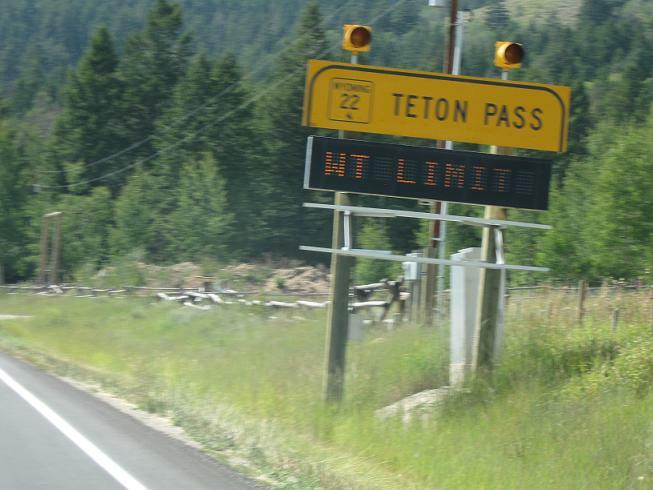 (Victor, ID) WYO 22 crosses over Teton Pass. 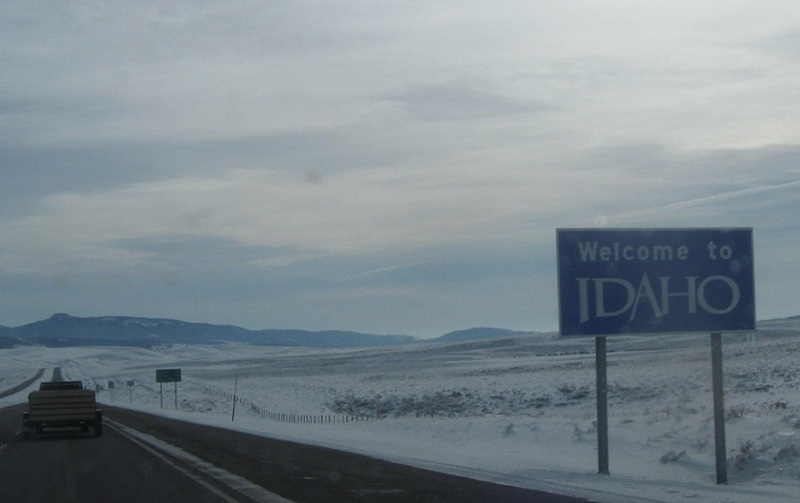 No Welcome to Idaho Sign, first Idaho 33 shield as we enter Idaho at the bottom of Teton Pass. 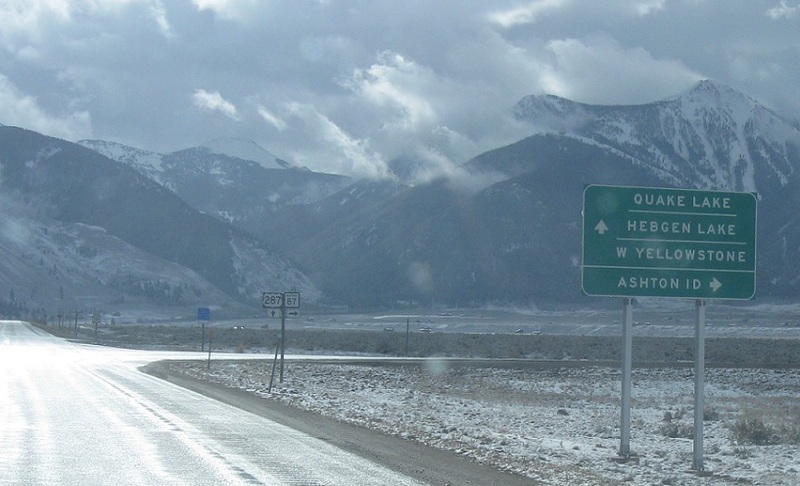 (Freedom, WY) Only WYO 239 shield. 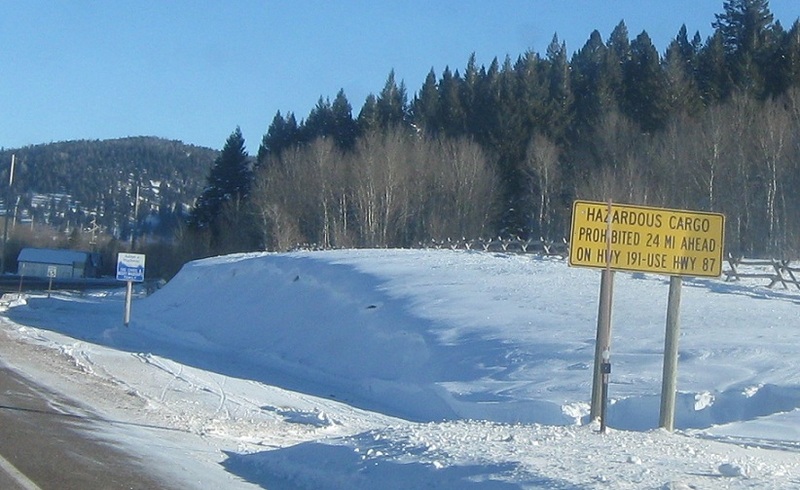 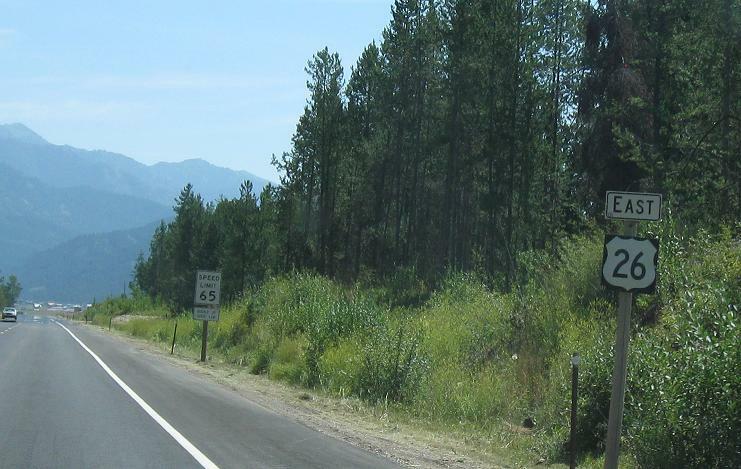 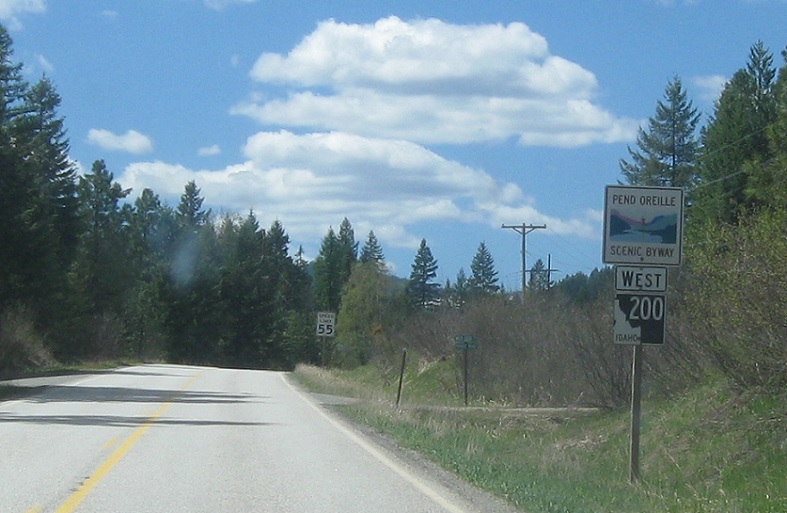 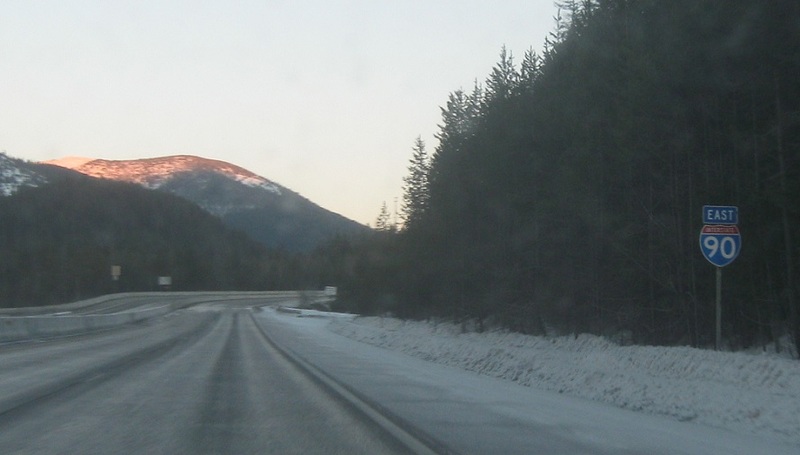 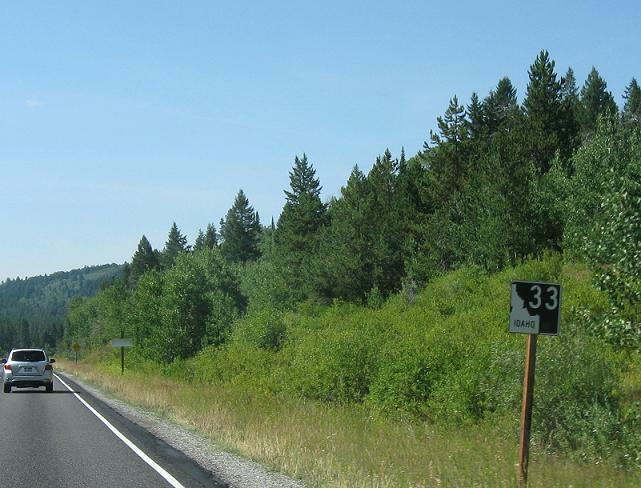 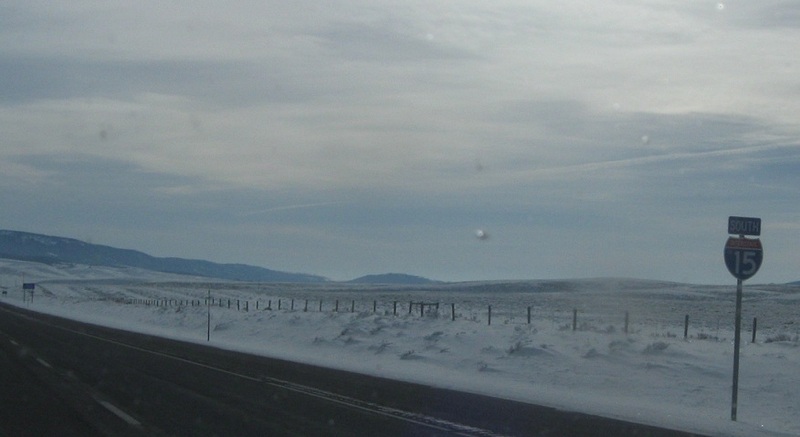 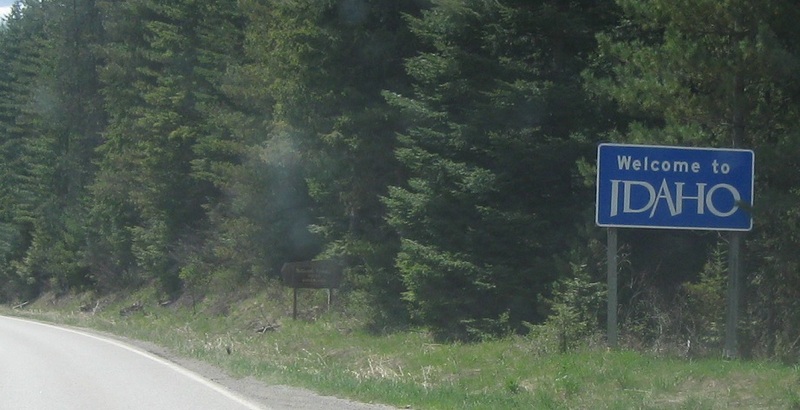 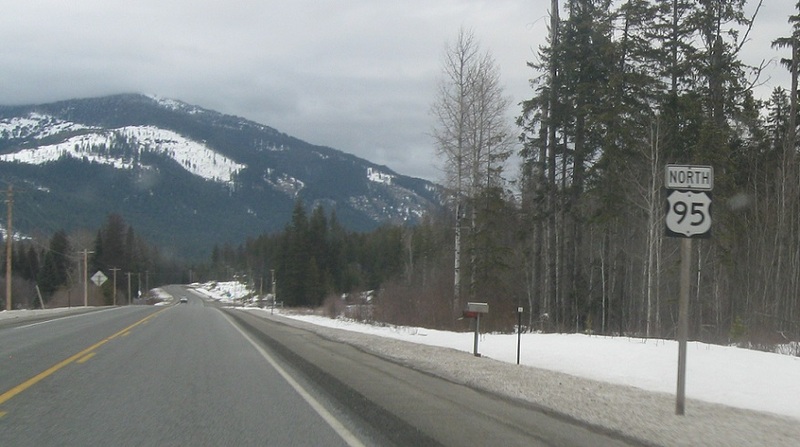 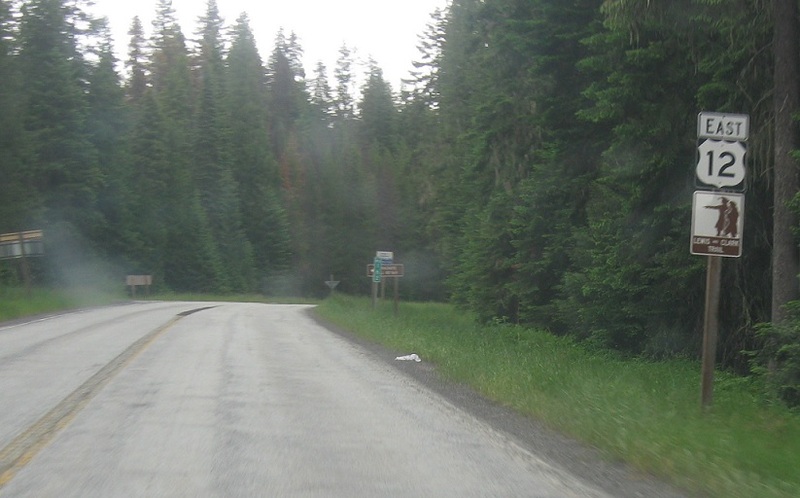 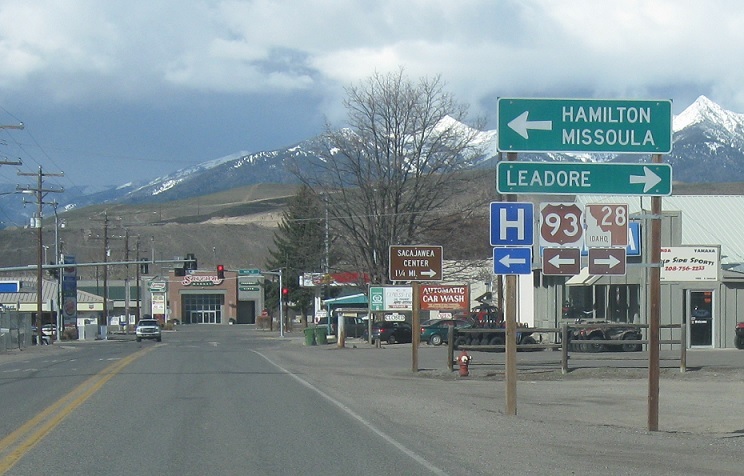 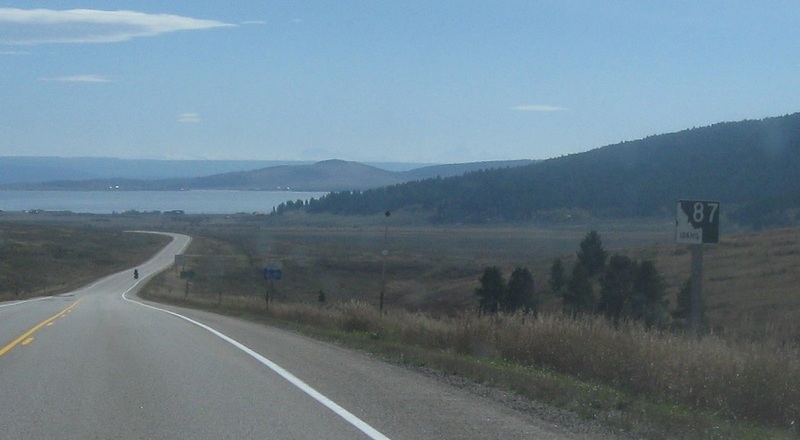 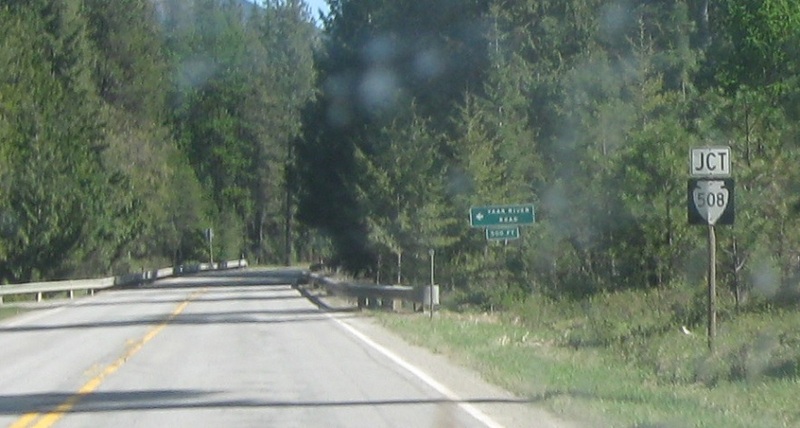 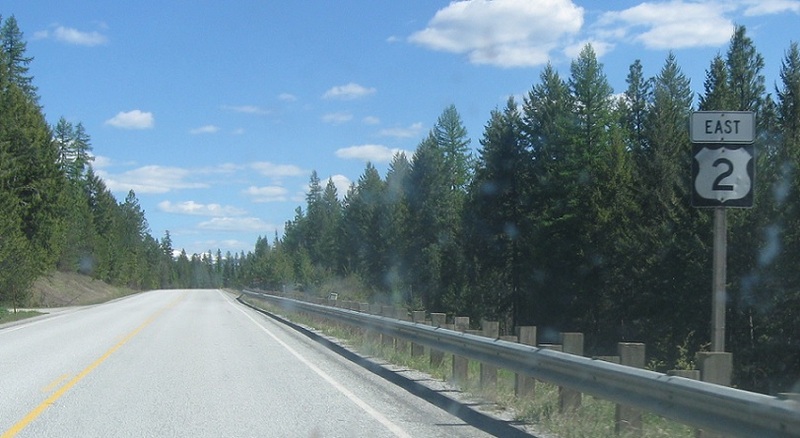 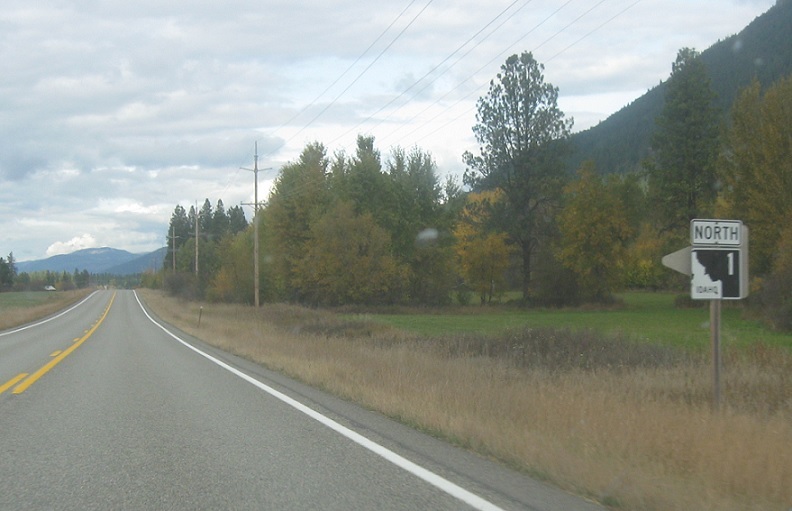 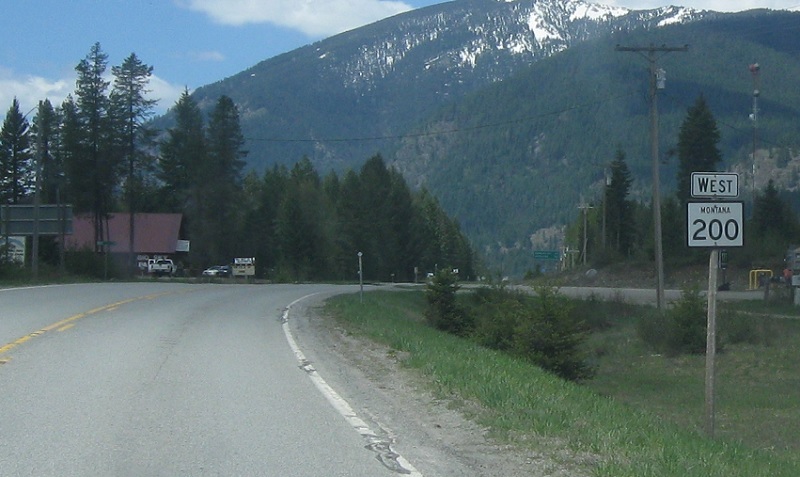 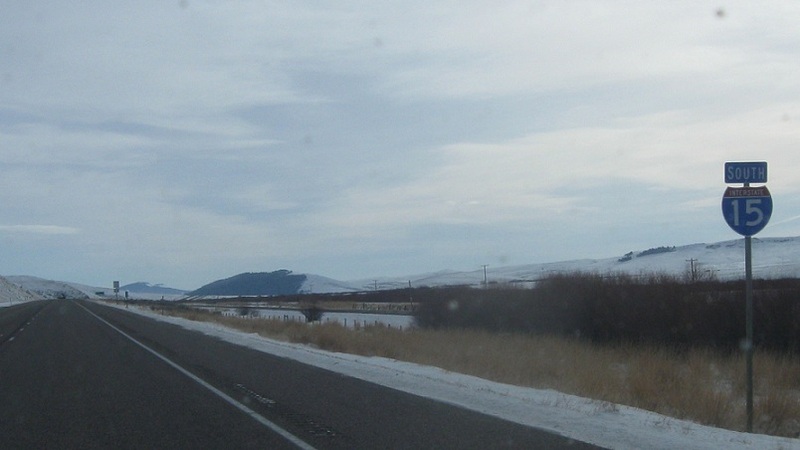 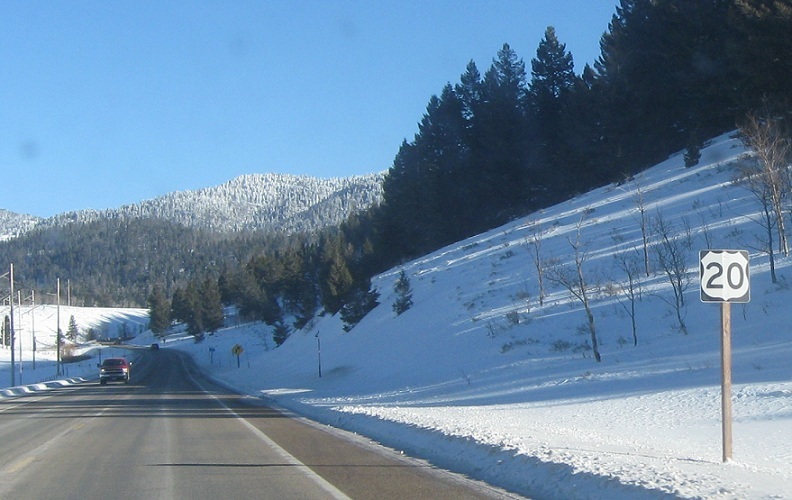 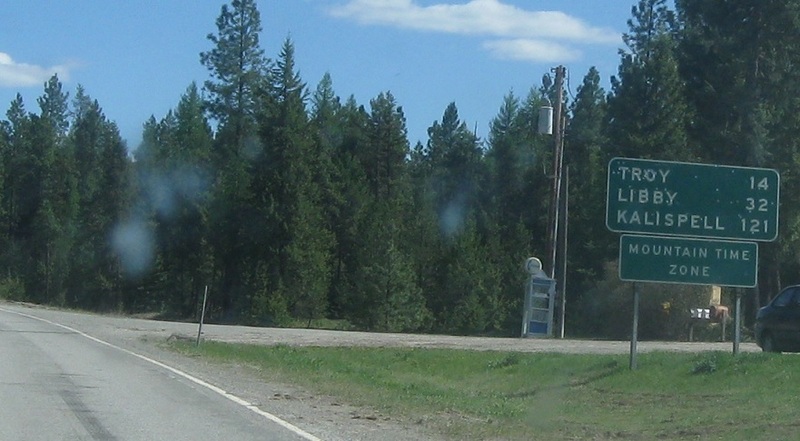 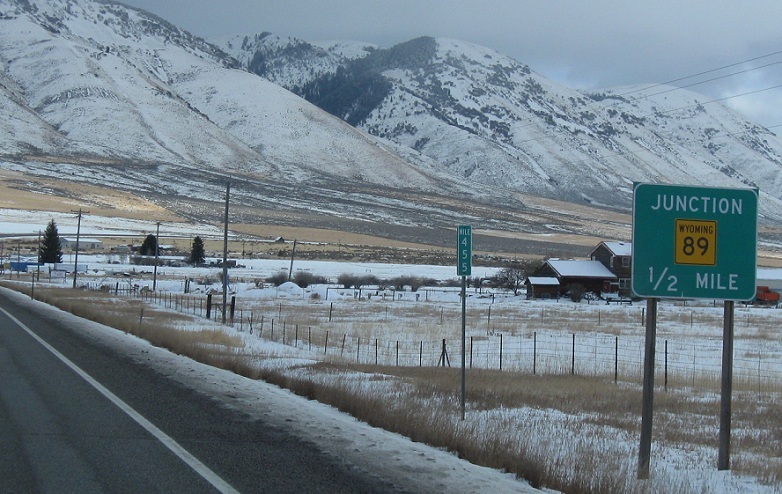 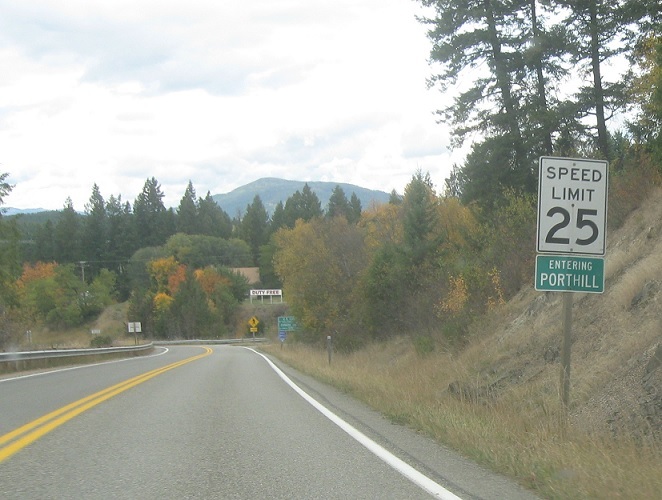 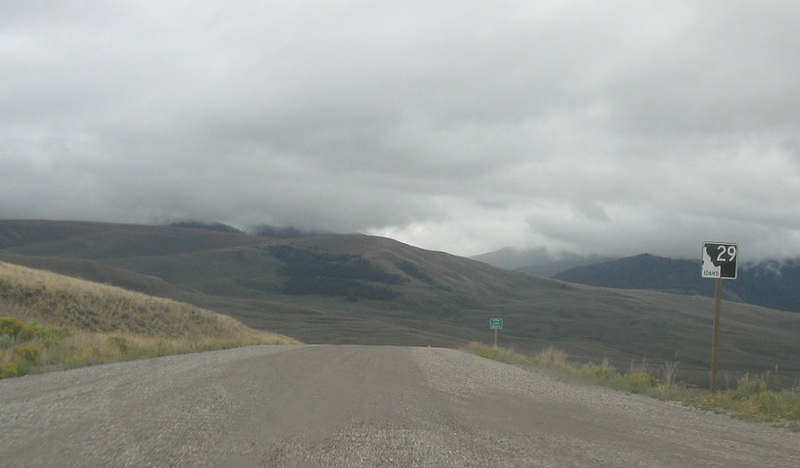 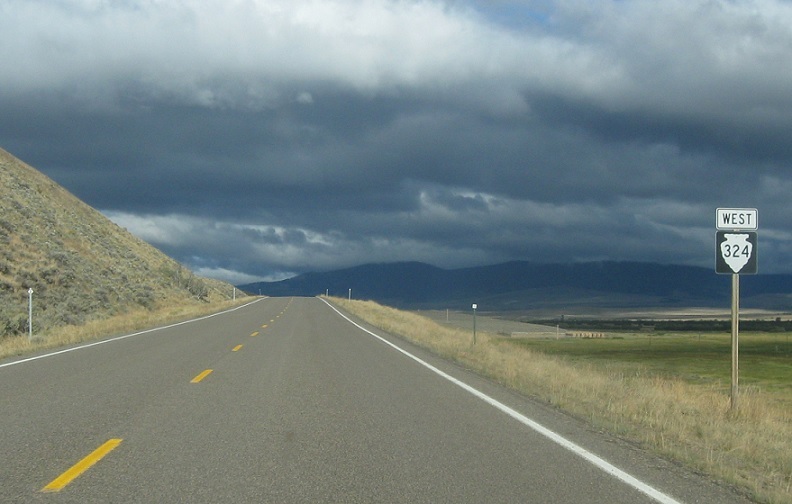 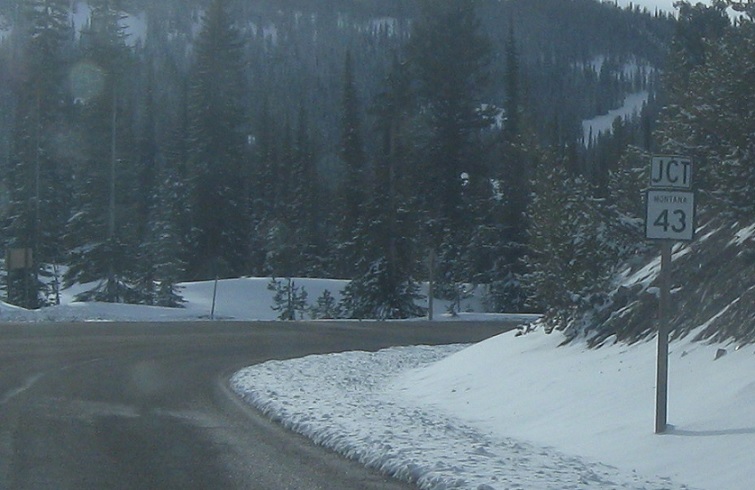 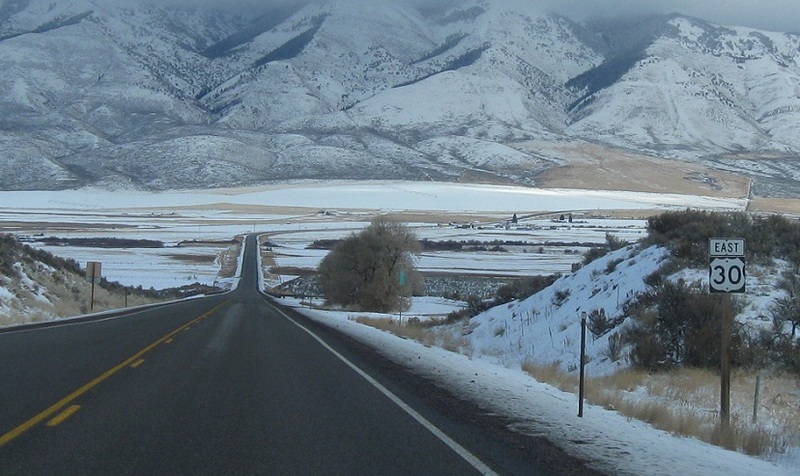 WYO 239 ends at the state line road, but follow that road south to connect to Idaho 34, turn left on Idaho 34 for Wayan and Soda Springs, turn left on Idaho 34, first Idaho 34 reassurance shield, Welcome to Idaho! 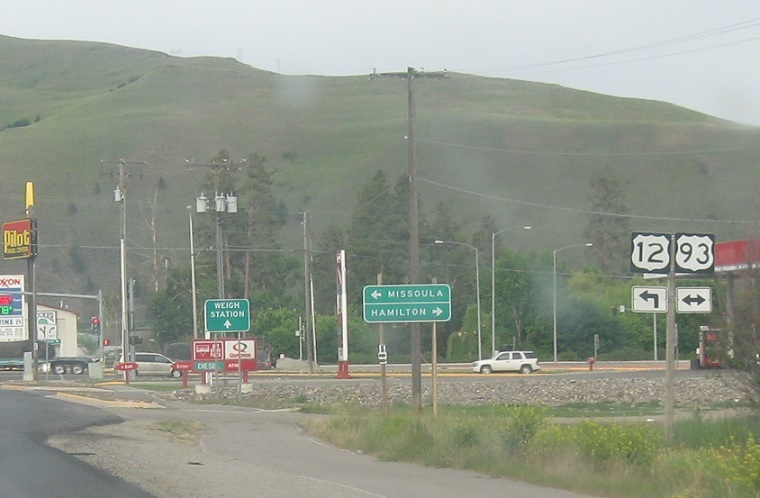 (Raymond, ID) Final US-30 shield in Idaho. 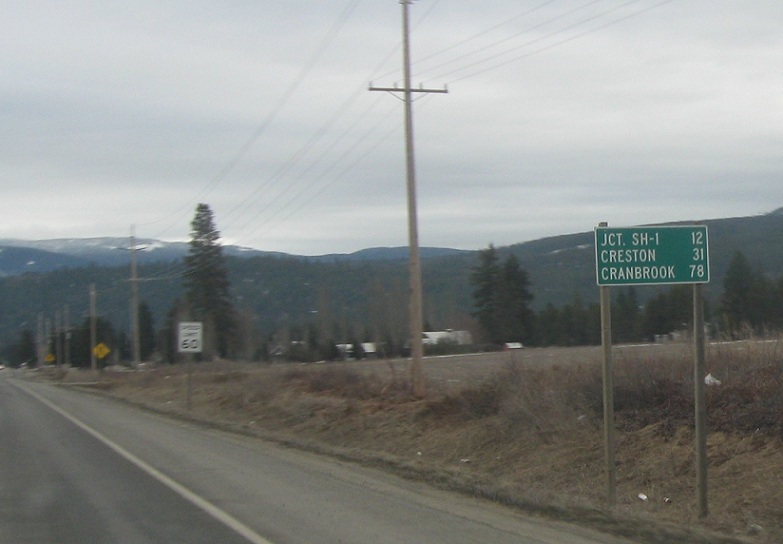 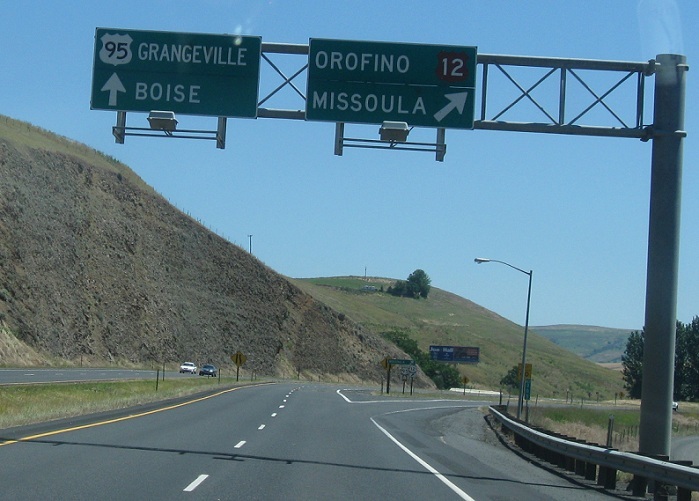 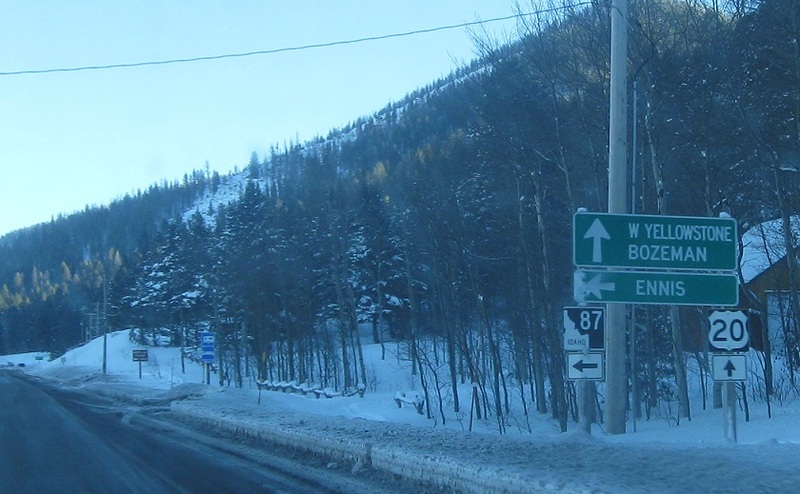 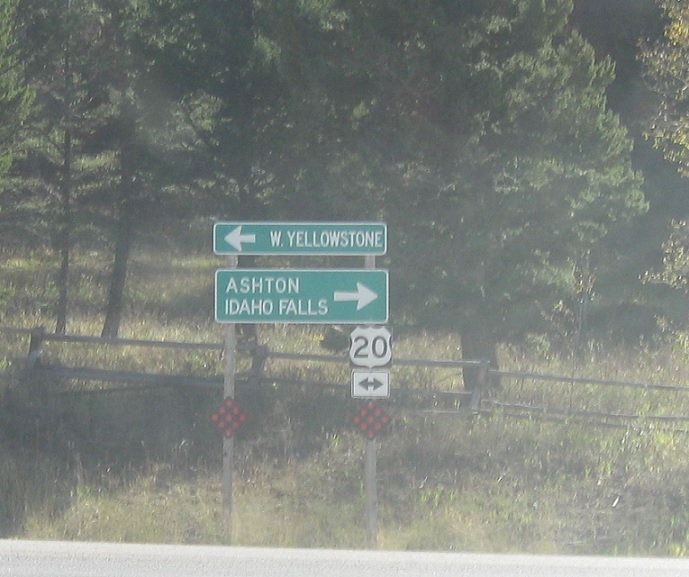 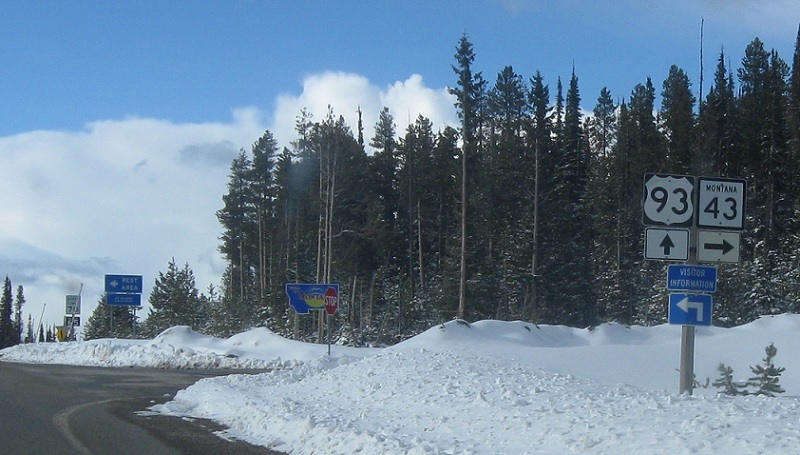 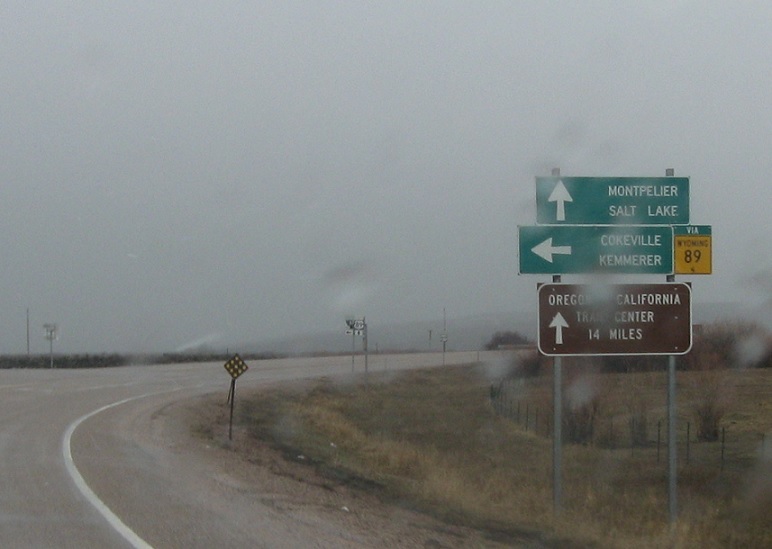 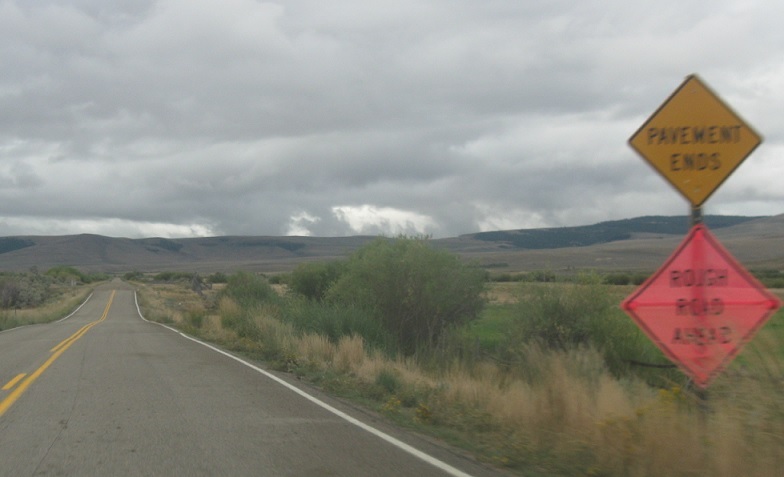 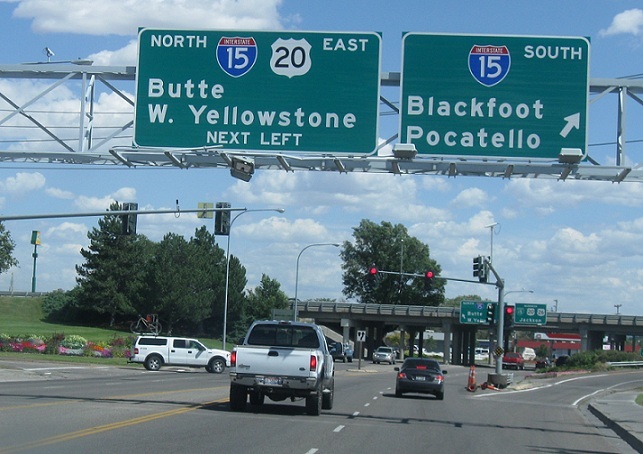 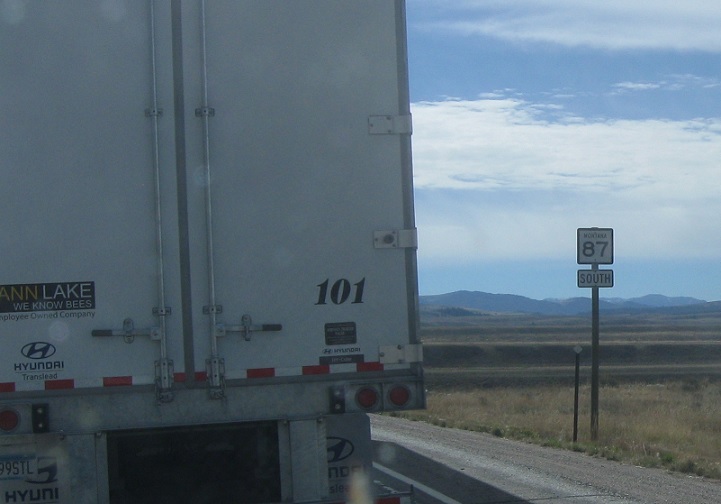 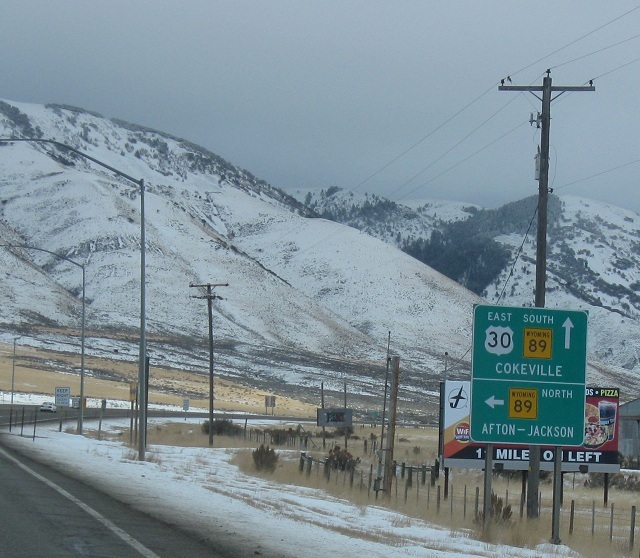 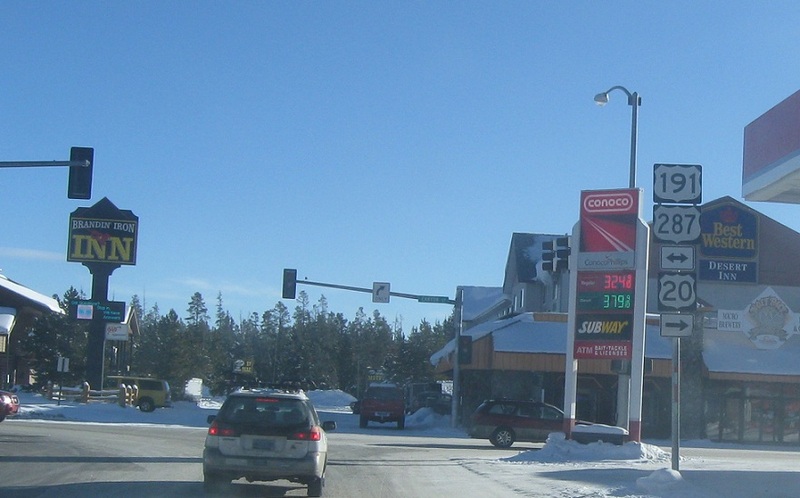 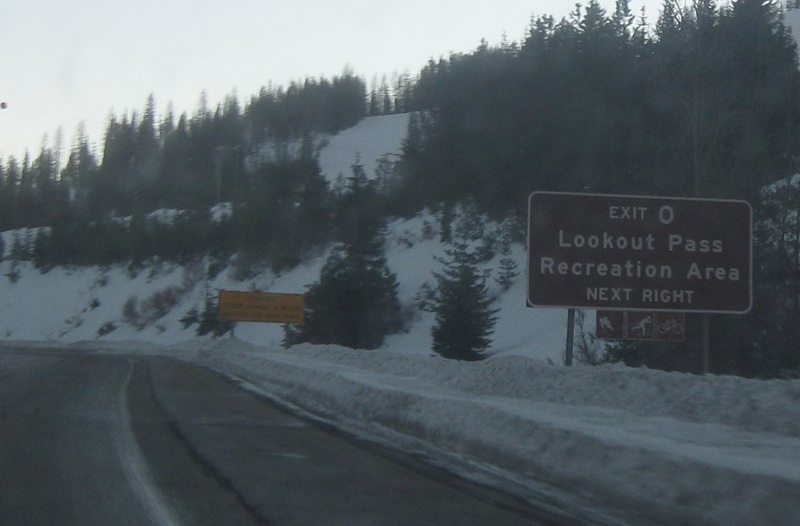 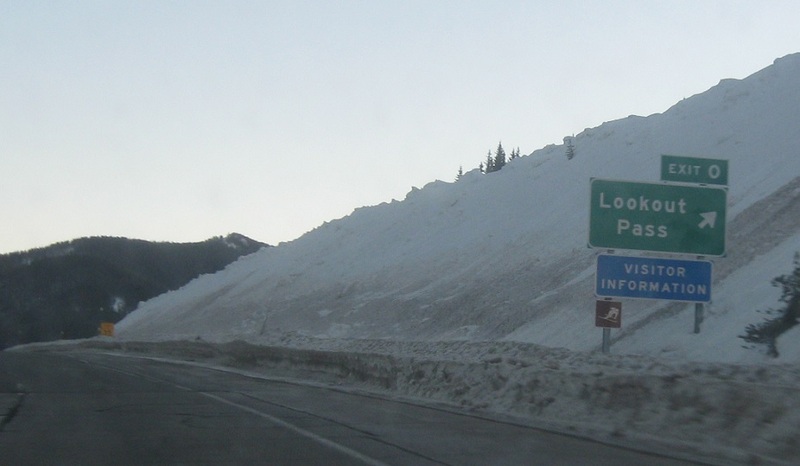 The WYO 89 junction is about 200 feet into Wyoming, so advance signage is in Idaho. 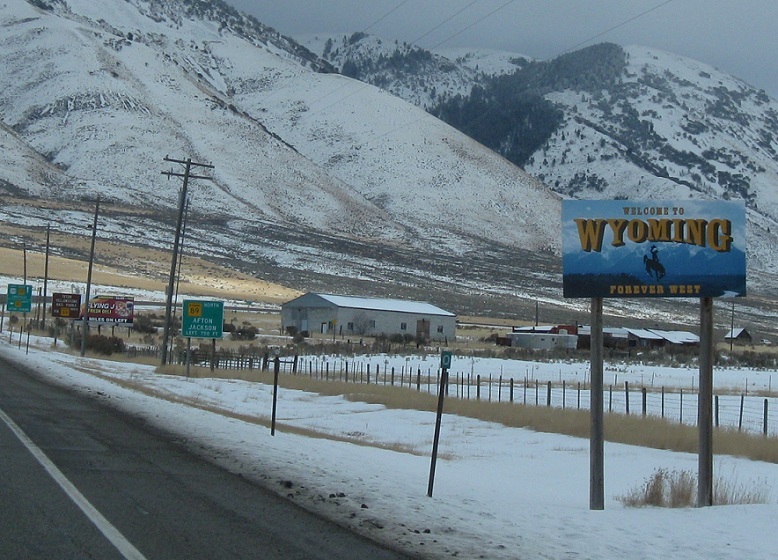 Welcome to Wyoming! 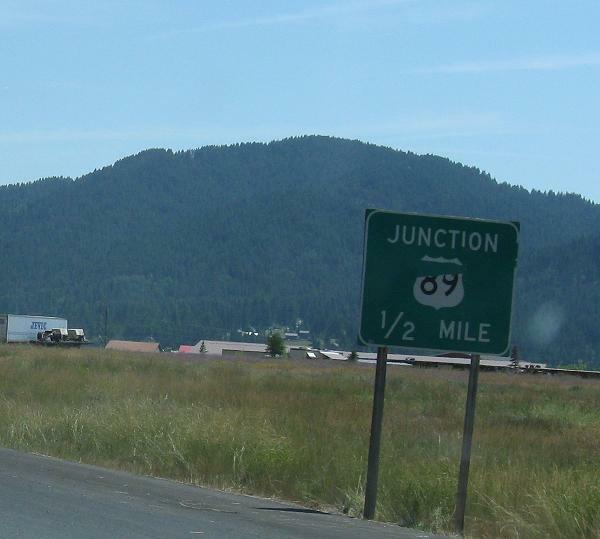 Junction WYO 89.